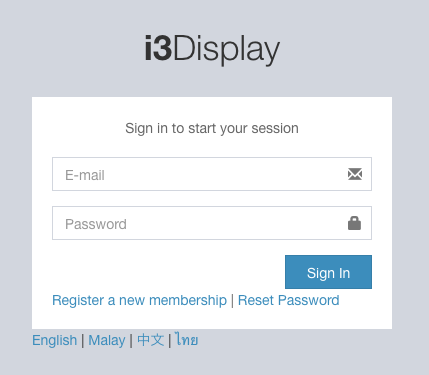 You will receive your Keycode Management Account details once you purchase the i3D Systems. If you are registered but have forgotten your password, please click on "Reset Password" on the log-in page, which will reset your password to a default that you can then change. Once you've logged in, you'll see a "My Profile" link at the top right corner of every page. Click this link to update your profile settings or change your e-mail address or login password. If you want to change the language of the user interface, just click at the Language and select your preferred language.